Islamist rebels have burnt down a library full of ancient manuscripts in the Malian town of Timbuktu as they fled, according to officials. The South African-funded library contained thousands of priceless documents dating back to the 13th century. "The rebels sit fire to the newly-constructed Ahmed Baba Institute built by the South Africans … this happened four days ago," Timbuktu Mayor Halle Ousmane Ciffe told Reuters by telephone from Bamako. According to the official, he received the information from his chief of communications, who had traveled south from the town on Sunday. The manuscripts were being kept in two different locations, an old warehouse and a new research center – the Ahmed Baba Institute. Both buildings were burned down, according to the mayor, who was unable to say immediately if any of the manuscripts had survived in fire. Named after a Timbuktu-born contemporary of William Shakespeare, the Ahmed Baba Institute housed more than 20,000 scholarly manuscripts. Some were stored in underground vaults. “The manuscripts were a part not only of Mali's heritage, but the world's heritage. By destroying them they threaten the world. We have to kill all of the rebels in the north," added Ciffe. 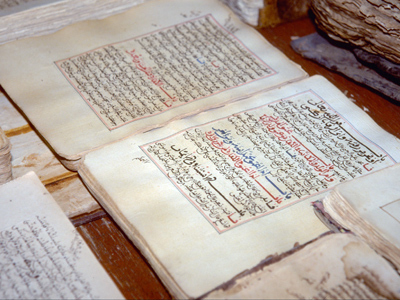 The majority of the ancient books burnt were written in Arabic and covered a wide range of topics such as astronomy, music, poetry, medicine, geography, history and religion. The oldest dated back to the beginning of the 13th century. 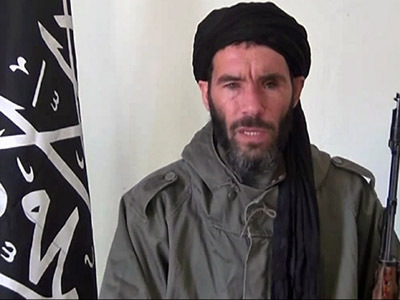 The Islamist fighters also burned down the town hall and the governor's office, and reportedly shot dead a man who was celebrating the arrival of the French military. French troops and the Malian army closed in on Timbuktu on Saturday night and secured the local airport and roads leading to the desert town. But they got there too late to save the leather-bound manuscripts from fire, which were a record of sub-Saharan Africa's medieval history. The Islamist rebels had captured the trading town nine months ago. During their rule, the militants have had systematically destroyed UNESCO World Heritage sites in Timbuktu, according to its mayor. A researcher for the Ahmed Baba Institute, Seydo Traore, told media that some rebels had been sleeping in the new institute. "They were the masters of the place," he said, adding that the militants had also destroyed the shrines of more than 300 Sufi saints dotted around the town. 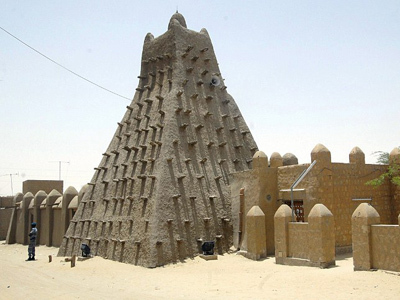 Timbuktu is situated 950km north of Mali’s capital of Bamako and lies on an ancient caravan route. 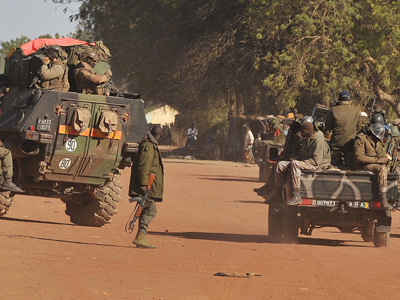 The destruction of the town’s library marked the latest inroad by the two-week-old French mission to oust radical Islamists from the northern half of Mali.